My Account - 702 Pros Las Vegas web design, web development. Search engine optimization, digital marketing consulting, graphic design, and Branding. Best web design company I worked with so far by far. Justin was extremely accommodating still offering free advice even after the site was up with any questions I had. Very highly recommended. We hired 702 Pros to redo our website, logo, business cards, brochures, vinyls for our fleet vehicles, and to start a new internet marketing plan for us. We met with Justin; he was very knowledgeable while walking us through the entire process. The final result far exceeded our expectation. Justin was great during the entire project. He answered any questions we had fast and delivered work even faster. The project was ultimately completed ahead of schedule. Now we're working on our new marketing strategy! We are 702 Pros, a veteran owned, local Las Vegas web design company. We specialize in web design Las Vegas, WordPress development, SEO, internet marketing, and graphic design services. We design mobile friendly websites, digital marketing plans and graphic art that not only look great, but more importantly CONVERT. Converting website visitors, and graphic and digital marketing recipients to customers. Then, we help you maintain that relationship with email marketing, pr campaigns, and personal recommendations. So impressed. Justin not only did a great job on the website, but he was so understanding when I kept texting him to switch that or change this. The result the website looks great!! Thank you. Justin helped me a lot with my website. From designing to SEO work he was very patience and helpful. I strongly suggest his work. 702 Pros did a website design and website development for our company. On the website, they implemented an online store where we can sell our toys. They gave us suggestions throughout the process and used they're expertise to give insight into how the project should turnout. Needless to say, the website came out great, even though we had a limited budget. We are using their company for website hosting and any maintenance needs we have. In addition, to social media marketing and search engine optimization. - Thanks again, 702 Pros! Justin has been fantastic on communication and timing. I am extremely happy I moved forward with his company. Now I have a fully functional site that looks great too! We had a logo created for our startup business and it turned out perfect. Got our logo the very next day and was able to receive pictures of his process so we could make adjustments easily and quickly along the way. Very pleased! 702 Pros (Justin) did my website and logo. And I loved the results! The site looks great the logo looks awesome and it reflects my business image. After he finished with the website, Justin began to help me with internet marketing, social media, business directories and SEO. He helped me get my facebook user engagement up, set up my Google Maps and optimized all my web pages. Since he started, I have had jumps across the board on the web. Plus, now I'm on the first page of Google for keywords I want to be found for! We are so happy with Justin's services. He has been a godsend and a tremendous help as we are new to all of this technology!!! He always goes above and beyond. We are looking forward to a long working relationship with him. And have all the faith that he can meet all of our needs. Outstanding customer service !! So we needed a website and heard wordpress was a good solution for small businesses. We also wanted it to look professional, so we called around to a few places online. And then found these guys. I spoke to Justin, he was wonderful to work with and gave us a free web design mockup that showed us how the website would look. None of the other companies would do that before we paid them. After the site was done, Justin went over the ins and outs of WordPress with us and answered all of our questions I will recommend them to anyone looking for an affordable local Web designer in Las Vegas. So we needed a website and heard wordpress was a good solution for small businesses. We also wanted it to look professional, so we called around to a few places online. And then found these guys. I spoke to Justin, he was wonderful to work with and gave us a free web design mockup that showed us how the website would look. None of the other companies would do that unless we paid them. After the site was done, Justin went over the ins and outs of WordPress with us and answered all of our questions. I will recommend them to anyone looking for an affordable local Web designer in Las Vegas. Justin build a landing page for my business. I am extremely satisfied with his work. He has competitive pricing, timely delivery and flexible. I did find him through yelp and very satisfied. Thank you again Justin. WOW!!! I really want to think these guys. I'm just blown away by the service I received from 702 Pros. The owner - Justin is awesome!! and treats his customers like family. He designed a wordpress website for me and setup me up to succeed in an age where, frankly, you need a website. And not just any website, but a really good one - That shows off your business in the right way. Thanks guys! We hired 702 Pros: Web Design to handle our Wordpress development. They setup an ecommerce system for customers to hire laborers on our site. Our company has just started up in Las Vegas and we are off to a great start with our website! They are now helping is with SEO and web marketing services. Thanks guys, great work! Call This company to get some information on designing a child theme for Wordpress and we I spoke with them they could have easily said yeah we can design you one. But instead they told me that most theme come with a child theme and he walked me through what I needed to do to get everything back and going. This Company's customer service in top notch and I wasn't a customer. Thanks guys. I had Discover Local Pros (Justin) do a website for my small business and what a great job! He went above and beyond with his expertise in helping us get up and running our ecommerce site. He is very knowledgeable and is always there when you have a question or need some help! LUV YA!. 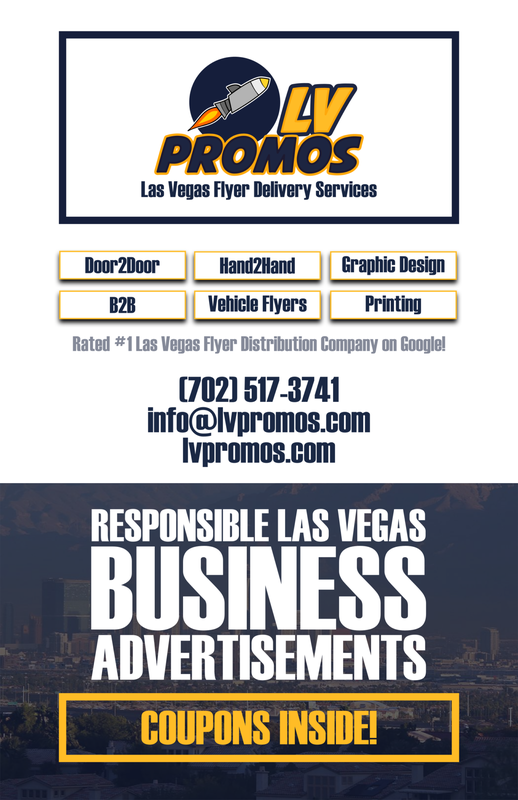 Looking for Flyer Distribution in the Las Vegas Area? Go to: lvpromos.com for more information.